Hi It only seems to be sending to the last email recipient for me. Are you referring to the form DBIS Admissions Enquiry? 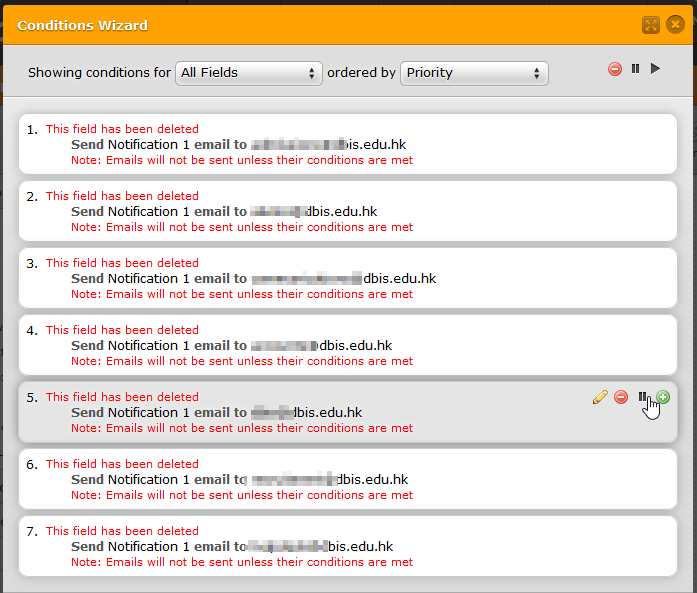 If so, I see that one or more fields deleted that are related to the condition to send notification which may be causing the issue. Also, please go through the guide below that can help you in troubleshooting certain email delivery issues.